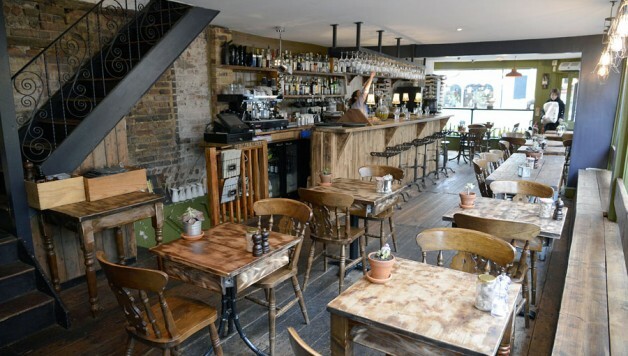 Modest, down to earth bistro-style dishes with homegrown herbs and vegetables from its eponymous roof garden – Grow 40 is a gimmick free oasis in Kensington Gardens. 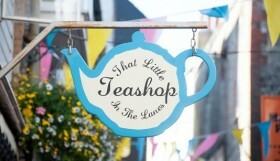 Brighton has a reputation as an image-conscious city and this often extends to the dining scene, which offers all kinds of fashionable options from bartop dining to small sharing plates, savoury cocktails to burger joints lit more like nightclubs. It’s all part of the fabric of a city that knows it looks good, and the variety is something we love about this town. Often, though, it’s just nice to have dinner somewhere that isn’t trying too hard to be cool. Grow 40, then, with its classic menu and cosy interior, is refreshingly free of affectation. 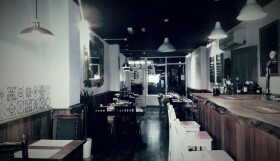 Not so much a place to be seen as a perfect place from which to spot others, the restaurant’s location on the corner of Kensington Gardens and North Road means that by day it’s a cafe of choice for people-watching coffee-lovers and by night, it’s a relaxed bistro/wine bar. 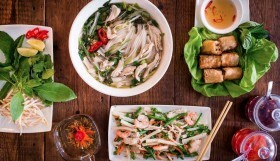 Owner Mickael explains that the restaurant’s name comes from the fact that the venue has its own roof garden, from which the kitchen picks homegrown herbs, vegetables and salad leaves. 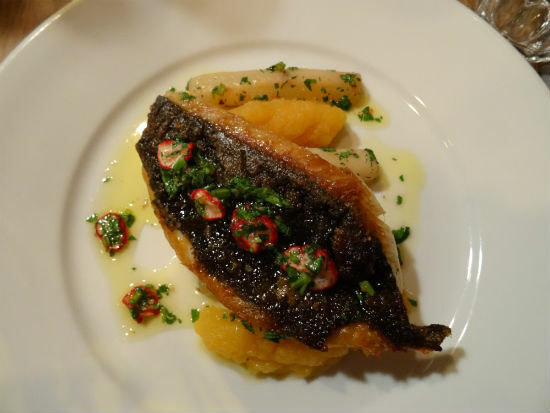 The evening menu is small and thoughtful, with the bistro-style dishes typically built around a few quality ingredients: an 8oz rump steak, a pan-roasted fillet of seabream, a soft-boiled duck egg. Every Thursday is burger, lobster and Champagne night – an updated version of the surf and turf classic, for those who like their kitsch with a bit of class. If the food selection is modestly pared-down, the wine list is proudly extensive. There are over 200 bottles to choose from and many are available by the glass or carafe; there’s even a dedicated wine club snug for officianados. Mickael ‘took care of the wine’ during our meal, using his expertise to pair the perfect glass to each course – a light and juicy pinot noir with a delicately cooked piece of halibut, for example; a perfumey Gewürztraminer, with its distinctive lychee flavour, to accompany dessert. Rookies need not feel overwhelmed. If ever there was a place for the hesitant to ask for a vino recommendation, this is it. We begin the meal with a starter of scallops, which are sweet and tender, just caramelised on the outside. 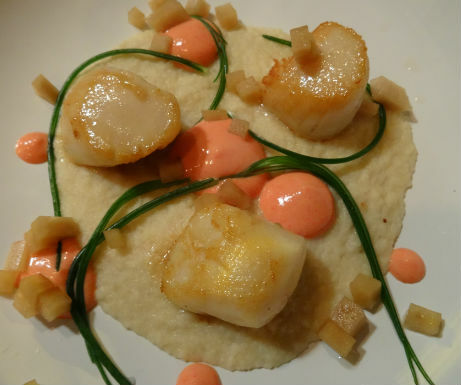 A vivid orange-pink coulis, made from the scallop roe, lends the dish a burst of concentrated shellfish flavour. 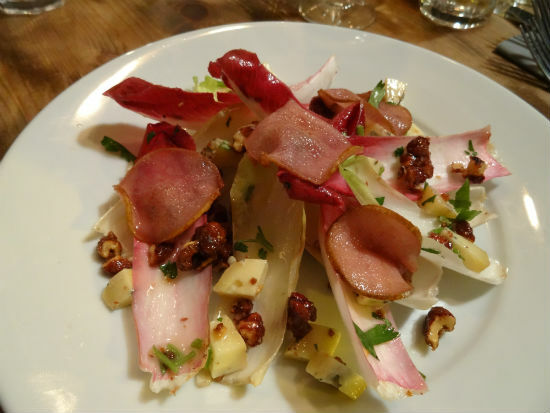 A simple but stunning salad of chard and pickled apple is offset with cubes of creamy fourme d’ambert blue cheese and crunchy candied walnuts. For the main course, a perfect piece of buttery halibut, its skin so crispy it cracks like the topping on a good crème brûlée, sits atop creamy salsify. 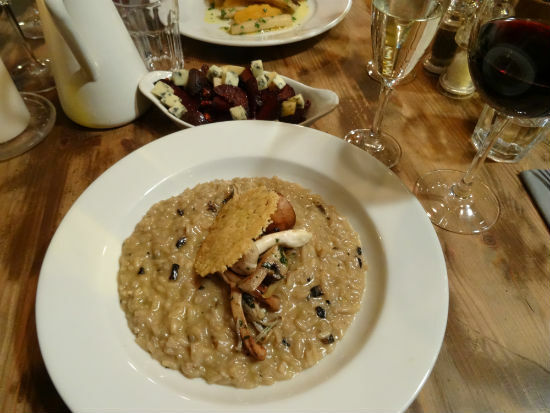 Then there’s a mushroom risotto, not usually a dish that threatens to set the world alight; here, however, it’s so good it has me swearing. The rice is cooked to absolute perfection. There’s the earthy flavour of wild mushrooms running through the dish as well as salty, salty cheese. It’s topped with a deeply savoury parmesan biscuit. There’s an economy of ingredients at Grow 40. Intelligent menu planning and local sourcing means that some showstoppers make more than one appearance on the menu. The French blue pops up once again as a welcome, tangy addition to our side dish of roasted beetroot. 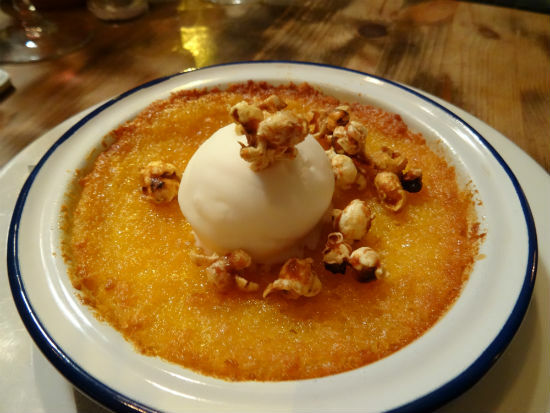 For dessert, a caramel-hued sweetcorn cake – which Mickael tells us is the result of him leaving the flour out of the recipe by mistake – is so dense and sticky it’s served in a bowl like a pudding, topped with a fresh yoghurt ice cream. My companion, not content with two courses and a side dish featuring blue cheese, cannot resist the lure of the cheeseboard. 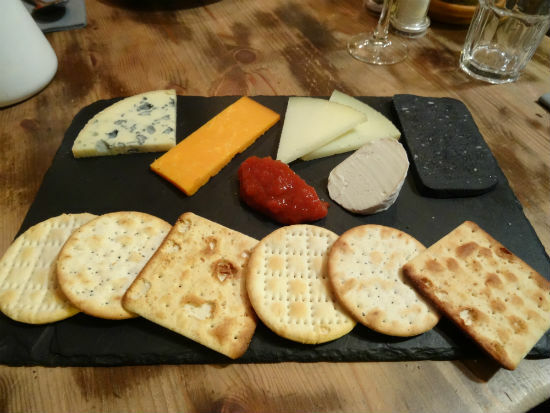 It features an impressive selection, including the requisite blue and a black charcoal cheddar, mixed with real charcoal, which surprises with the delicacy of its smoky flavour. It is accompanied, appropriately, by a syrupy port. There are no gimmicks here, no pandering to food fads. You may feel no pressing need to Instagram your meal (although the dishes are all presented beautifully). In fact, Grow 40 is exactly the kind of place you might go to escape the social media notifications baying for your attention. Superb wine, fine cheese, homegrown produce and great people-watching: surely a formula for longevity in a competitive restaurant market. Perhaps you can even leave the smartphone at home. 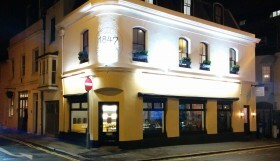 1847 Brighton Review: "The Vegetarian Society would be proud"